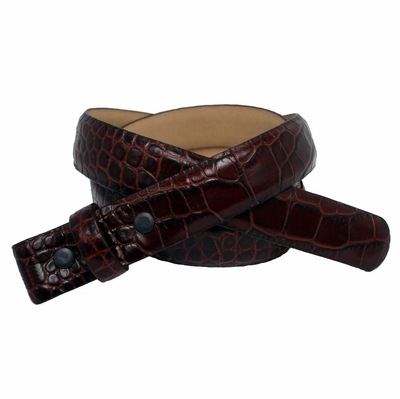 High Quality, Alligator grain Italian Calfskin leather Belt Strap with snaps you may open and close to add your favorite Buckle or Buckle set. 1" Wide. NO HOLES.